Welcome to Lube Central, McKinleyville's ONLY Fast Lube Oil and Filter facility, locally owned and operated since 1997. Have you heard about transmission fluid changes causing damage? Find out here why our T-Tech Fluid Exchanger is totally safe! Getting a new car? ASK about the oil! Many new vehicles are requiring synthetic 0W20 motor oil. It's very thin and WILL raise the price of your oil changes. Ask us for details. Come see us and enjoy our beautiful waiting room while relaxing over coffee, magazines and free wi-fi, or just gaze over our incredible 65 gallon saltwater aquarium! Search our website for more information on our services and then read on about what others consider to be our superb customer service. Print a coupon, call us for an appointment and come in and see for yourself why our "no pressure," informative approach to automotive service ranks us high among other shops. 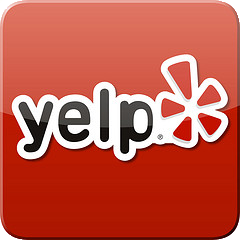 Check out our reviews on Yelp and let our customers tell you why they keep coming back! Like us on Facebook and watch for additional specials or information regarding our services. Come visit us today and see why we are McKinleyville's oil change experts of choice.